How can I create an interaction that celebrates New Yorkers’ shared experiences of Washington Square Park? 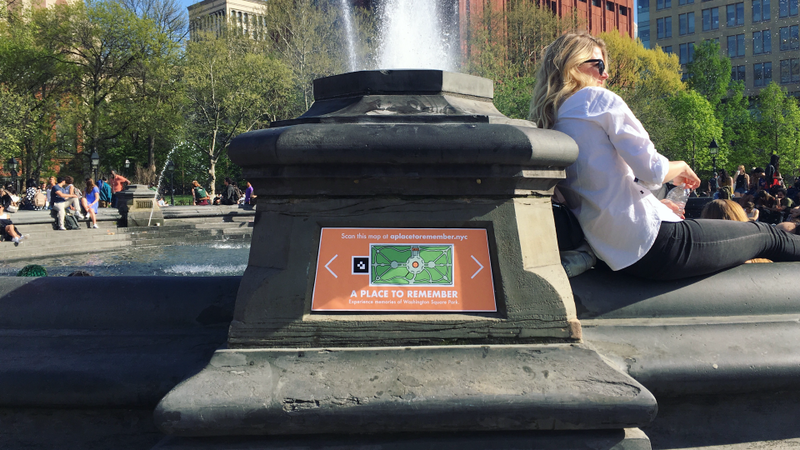 A Place to Remember is an Augmented Reality (AR) experience that takes place in Washington Square Park. AR Markers in the park invite passersby to use their phone’s camera-view to interact with hand-drawn maps, and recordings left behind by strangers. Users are then invited to contribute their own memories. This project celebrates the role that public space plays in the creation of urban communities and in the formations of our personal memories and identities as urbanites. 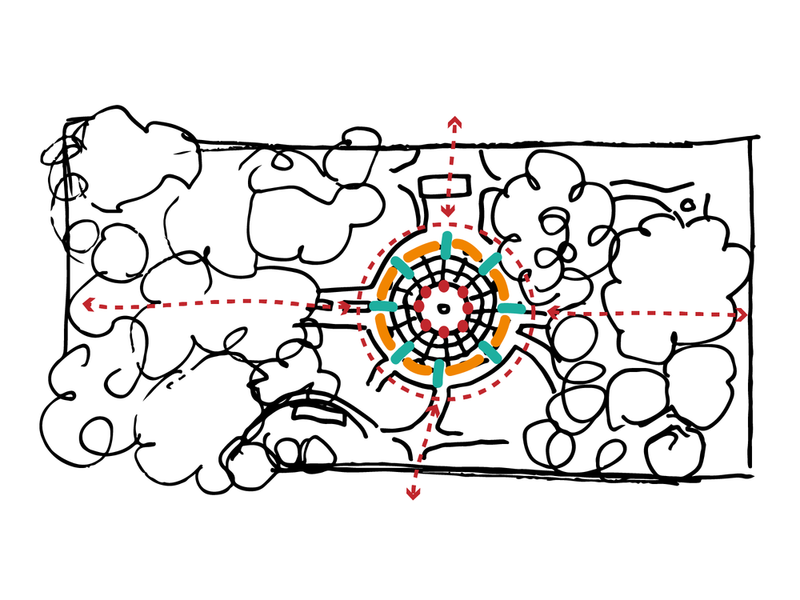 It aims to facilitate feelings of belonging, ownership and shared experience by inviting park visitors to engage with a place by listening to other people’s memories from there. I started this project by visiting the park and observing the way people moved through the space. I began to notice that a lot of the traffic flowed around the fountain at the center of the park. I started to wonder how I could take advantage of this traffic and use the existing architecture of the fountain as an interface of sorts. From there I started collecting stories of peoples' first time visiting the park. I also had contributors draw me a map in association with the memory. I decided that I would build an experience where placards are placed around the fountain in the center of the park. People walking through the park would be encouraged to visit a url which would load a web app. Using this app they would be able to scan the placards to experience other peoples stories of the park and also contribute their own. Detailed User Flow mapped to user's movement through the park. Testing initial interaction at the park. In order to run tests I built a basic prototype in Unity. I designed placards which encouraged park goers to visit the url that hosted the AR app I built using the ARToolKit JS library. The placard also contained an AR marker to trigger the interaction. I embedded these placards into the existing archecture of the fountain.